A living legend in his own right... and better known as a producer... Diamond D is coming to Antone's on Aug. 20th! And that's not all... M1 of Dead Prez... Nottz... and our very own Vehicular! So the A/C guy who came yesterday didn't work on my type of unit (that doesn't sound right does it?)... well... another company's coming this morning... and guess what?!? The f**kin' things working fine now... isn't that a b*tch! Diamond D (real name, Joseph Kirkland) is a hip-hop record producer and remixer from the Bronx, New York City. He was a member of Ultimate Force, along with Master Rob and together they appeared on the Jazzy Jay album Cold Chillin In the Studio. 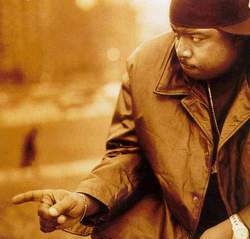 After Ultimate Force split in 1992, he was a founder of the Diggin’ in the Crates (D.I.T.C.) crew. He is also in the group The Omen along with Sadat X and Kamari. He has worked as a producer on some classic hip-hop records, including A Tribe Called Quest's The Low End Theory and The Fugees' The Score, and Mos Def's Black on Both Sides. More recently he appeared on British electronic artist Aim's album Hinterland. In 1997, Diamond D started his own record label, Dusty Fingers Records.